Montreal is a world-famous city with a culture like no where else in the world. Explore its neighbourhoods and cultural attractions, and experience some of the city’s best shopping and dining venues. The 2018 IBTN Conference will be held in downtown Montréal at Université du Québec à Montréal (UQAM). 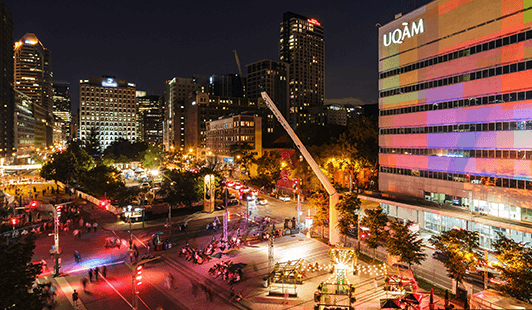 Conference activities will take place at the Science Pavillion on UQAM’s main campus, located in the heart of Montréal’s festival district and the renowned Place-des-Arts performing arts centre. 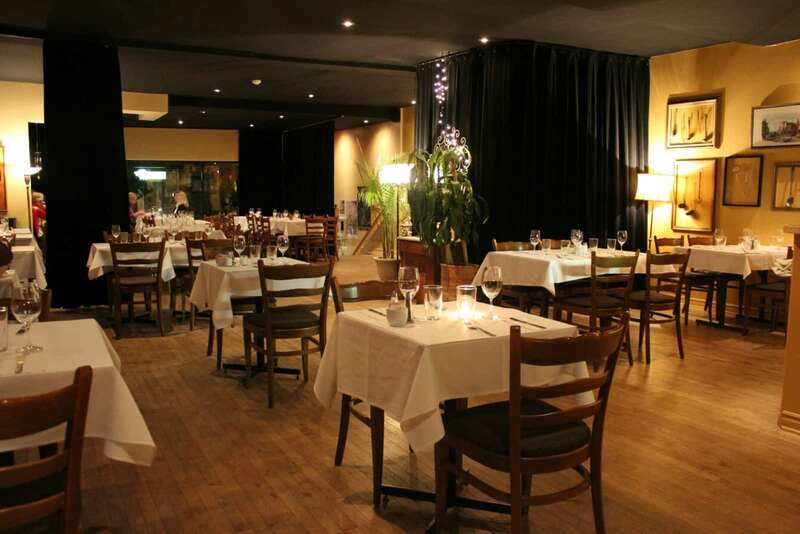 An evening of fine bistro dining in a quintessential Montréal restaurant atmosphere, at once chic and warm-hearted, serving French-Québécois bistro cuisine. The evening includes a three-course meal with a complimentary drink. Tickets are $60 each and can be purchased for you and your guest(s) on the conference registration form. (You can also purchase additional tickets after registration.) Seating is limited… so don’t wait too long. Located in the Quartier des spectacles district with a 5-minute walk to McGill and Place-des-Arts metro stations, and a 6-minute walk to the conference’s main venue (UQAM’s Pavillon Sherbrooke). Rooms include high-speed wifi access, bottled water and a work space with various connectivity options. The hotel offers residents access to its gym open 24/7, beautiful quartz tables in common areas, and Le Cordial, a bistro-bar offering cusine based on local fare and beers from Québec-based microbreweries. To reserve your room at the special rate of $202 CAD per night, visit the special page on the Delta Hotel website. Specials rates available only until April 20, 2018, after which rooms may stil be booked at regular prices. Get a preview of what Montreal has to offer and download a useful visitor’s guide prepared by Tourisme Montréal, or download their Activities and Attractions booklet, filled with coupons.